Since I was happy with my test model, I painted up 9 more cold ones as mounts for my Saurus Cavalry. I am only planning on running a unit of 8 at Buckeye Battles, but I did a couple extra for more flexibility in the future. I will be able to run either a single unit of 10 or two units of 5. 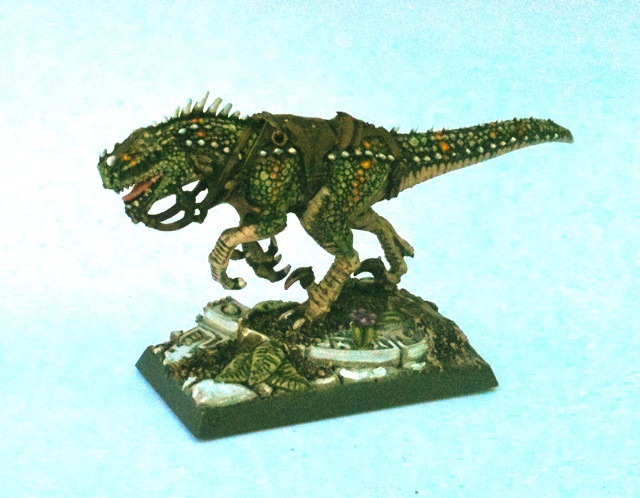 Here's the one I will probably use as a mount for my Saurus Battle Standard Bearer. This is the likely mount for my unit champion. such a good painting job! 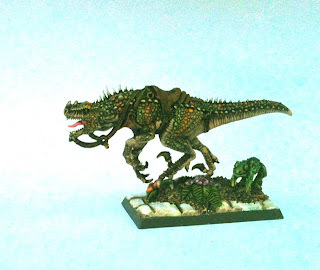 I'm looking forward to see the Saurus on the cold-one.